Cardinals starter Chris Carpenter (9-9) pitched a four-hitter for his 14th career shutout in the Cardinals’ 2-0 win over Milwaukee, cutting their division lead to 8.5 games while the Wild Card gap is cut to 6.5 behind Atlanta who the Cards play this weekend. 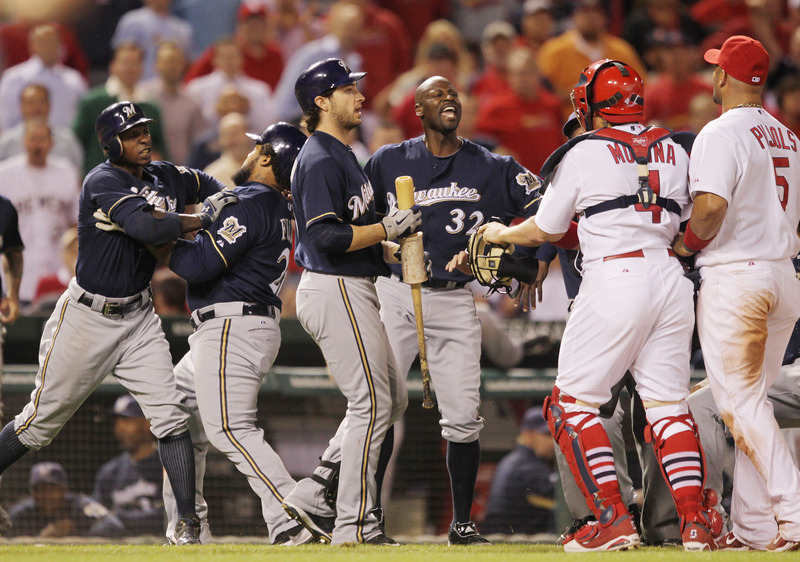 A sac fly from Yadier Molina and a solo homer from Rafael Furcal provided the offense for Carpenter who shut out the Brewers 3-0 exactly two years before in Milwaukee. He struck out five and walked two, one intentional. In the ninth inning, Brewer Big Mouth, Nyjer Morgan, threw his chewing tobacco out at Carpenter and as they exchanged words, Albert Pujols ran in to Carpenter’s defense before Morgan was ejected.